Bringing together works from a career spanning several decades, as this exhibition does, inevitably spurs a curious mind to seek some continuity or development. What, in fact, is the thread linking my highly structured, colorful, optimistic reliefs of the 1960s to my “non-Euclidean metaphors” of the 1980s and to my more recent investigations into the materiality of color ? I feel that, beyond any differences, one theme is always present—bringing the perception of space to the center of attention. Everyone knows what “space” is, because we move through it, live in it, occupy it. And yet, as soon as we start thinking about this phenomenon in a rigorous way, space begins to seem as mysterious as time. This sense of amazement guides my conception of paintings and reliefs. And this state of mind allows the works to reveal themselves fully to anyone who really looks at them. 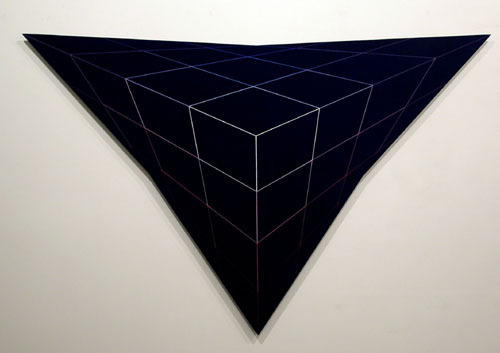 In and through a work thus conceived, we discover a special context for reflecting on our own perception, for “perceiving perception,” notably the perception of space. That’s the main reason why I situate my explorations—whose phenomenological roots are fairly obvious—in the tradition of concrete art : it is the only artistic trend which, since its origins in 1930, has carried out the revolution of shifting intentionality within an art work from the signified to the signifier, from content to sign. This inversion implies that a work of concrete art means nothing other than itself, and that the space it occupies assumes primordial importance. Which corresponds perfectly to the direction of my explorations. 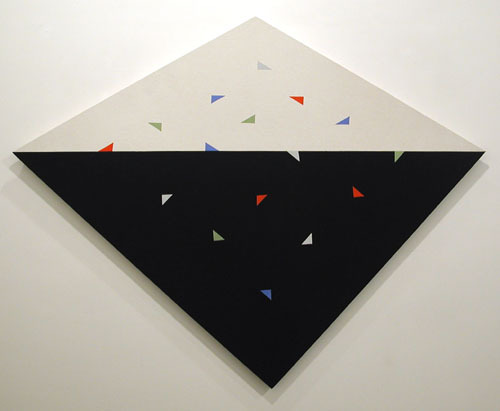 Hans Jörg Glattfelder, Constructivist painter and writer Hans Jörg Glattfelder was born in Zurich in 1939. His work initially betrayed the influence of the Zurich concrete-art movement, but he soon headed down his own road. In 1961 he moved to Italy and came into contact with avant-garde movements. 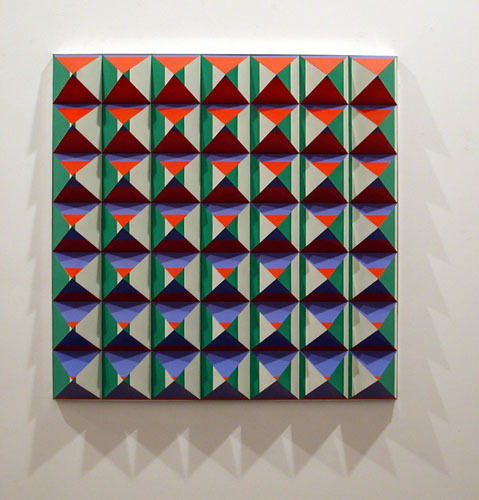 By the late 1960s he sought to create artworks by using anonymous, industrial methods of production (“pyramid reliefs”). 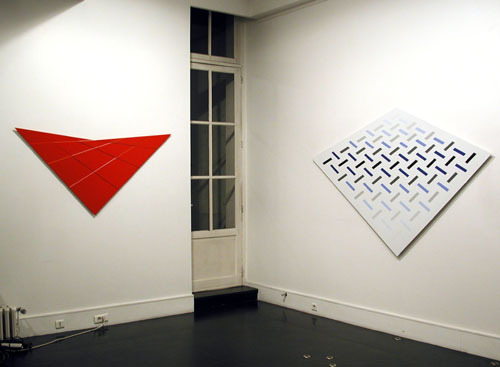 In the 1970s Glattfelder adopted non-Euclidean geometry as the thematic basis of his artistic explorations (“non-Euclidean metaphors”). 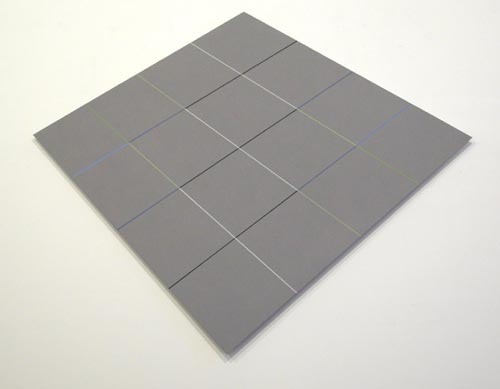 He won the prestigious Camille Graser Award in Zurich in 1987, and was given retrospectives at the Albers Museum in Bottrop, Germany (1992), the Sander Foundation in Bienne, Switzerland (1997), and the Museum of Concrete Art in Ingolstadt, Germany (1999). In his many articles, interviews, and theoretical texts, Glattfelder has defended an art practice based on a spirit of rational invention, formulating his theory of “meta-rationalism” in 1983. He has also called for a reciprocal openness and interdisciplinary communication between the various types of “constructivism” in art and science (“methodical constructivism”). 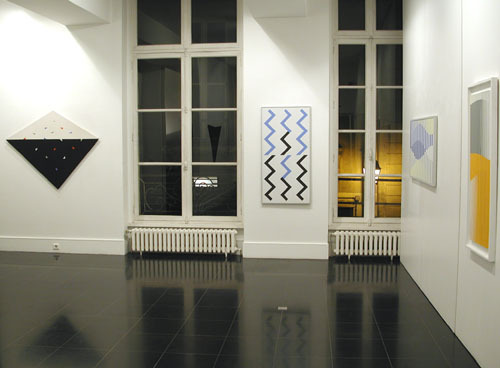 Glattfelder lived in Italy from 1961 to 1997 ; since 1998 he has lived and worked in Paris.